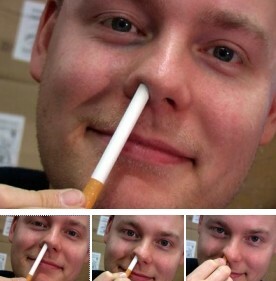 An amazing vanish of cigarette so stunning it looks like trick photography! Includes special hand crafted gimmick and detailed instructions thoroughly illustrated by Tony Dunn. 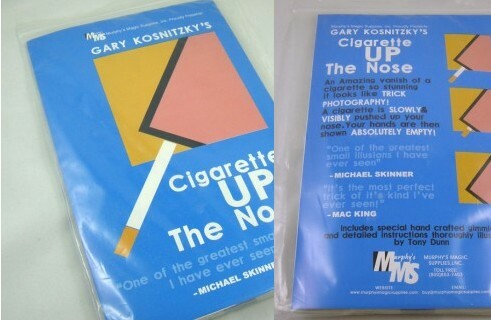 Cigarette Up the Nose by Gary Kosnitzky - An amazing vanish of cigarette so stunning it looks like trick photography!